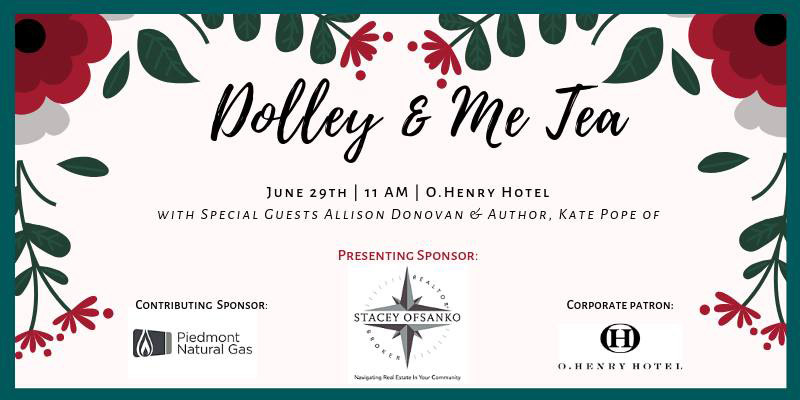 We invite you and your loved ones to our Dolley & Me Tea at the O.Henry Hotel on June 29th where we will celebrate our love of history and giving back to our wonderful community. We will enjoy story time with special heroes from The Giving Crusade who will inspire us to find our own way of giving back. Our beloved Dolley Madison, a true hero in history, will also make her way around as you enjoy your treats, get creative at our craft stations, find a gem in our silent auction that will benefit the museum or simply enjoy each other’s company. For tickets and sponsorship opportunities, go to http://weblink.donorperfect.com/DolleyTea2019 or call 336-373-2982. © 2019 Greensboro History Museum. All Rights Reserved.